2017 was a wonderful year, I was able to accomplish a lot, became a WordPress Core Contributor (first female from PK) twice, kickstarted WPCouple Campaign, and improved hundreds of open source projects with my better half. I am also in the job market looking for the next big opportunity and in the review, I discussed my interviews at Google. OK, it’s that time of the year when you sit down and write your year in review. Well, I guess the time was probably 2 months ago. But I was busy traveling while attending a few family gatherings and meetups here and there. So, that’s what I am going to do now — i.e., write a review of what I got up to in 2017. Yes, this was the year when WordPress became more than just a software to me. It has actually helped me find my better half Ahmad Awais. The way Ahmad & I both have built our life and work around WordPress during 2017, in particular, let me tell you that it was no less than a roller coaster ride. Despite the fact, that I have spent over nine years with WordPress; it’s quite an achievement for me to share how my learning and success rate tremendously grew exponentially. Things which I learned and built together with Ahmad during 2017 were way too impressive and impacting. By looking at these 365 days, I believe that we make a very strong team and a remarkable WordPress Couple — more on this later. I’m going to try and explain everything that happened to me in 2017. During all these years, I have been toying around with WordPress but at the same time, I kept struggling internally to do something that I’ve wanted to do for a very long time. That something was becoming a WordPress, core contributor. Seriously, it felt amazing. ⚡ The streak of contribution continued to the next version when I made my second core contribution in the WordPress 4.9 Tipton. To be honest, my contributions are quite minimal, this year where I built theme bundles & prepared changelogs for WordPress default themes — TwentySeventeen, TwentySixteen, etc. for the WordPress core.  But I’d be lying if I didn’t tell you that giving back feels good. I also look forward to upholding the spirit of regular core contribution this year as well. 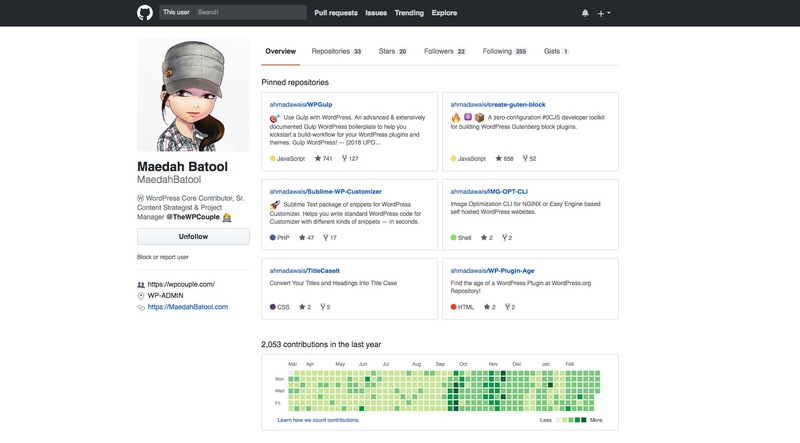 ✅ I worked as a technical project manager and built workflows for more than 100 FOSS (free and open source software) projects which are hosted at GitHub. ✅ These workflows improved project lifecycle and made FOSS documentation more dev-friendly attracting ~3,000 Stargazers on GitHub — used by over 30,000 developers worldwide. ✅ In total, I made ~4,000 commits to GitHub repositories. Out of which a major chunk was contributed while updating the existing FOSS projects which both Ahmad & I currently maintain. ✅ I also contributed to the likes of WooCommerce, Formidable Forms, GiveWP, Caldera Forms, Ultimate Member, etc. Ahmad developed the Sublime Package of snippets for WordPress Customizer. It helps you add Customizer panels, sections, controls, and settings in a few seconds.  Owing to its immense adoption in the community, about 10,000 downloads and ~6,000 developers using it, I created full-fledged reference documentation for this project.  I created the docs with MKDocs (a Python-based static documentation site generator), versioned with Git and hosted on GitHub. I decided to document in Markdown to improve efficiency and receive community contributions.  One thing, I should mention is that completely fell in love with writing in Markdown last year. I think this short free course from Wes Bos, Mastering Markdown is perfect. Anywho, the results were pretty amazing. This documentation improved the overall workflow as anyone seeking support was directed to this reference guide. The support tickets were considerably reduced, and the package has now over 6,000 active installs at PackageControl.io. 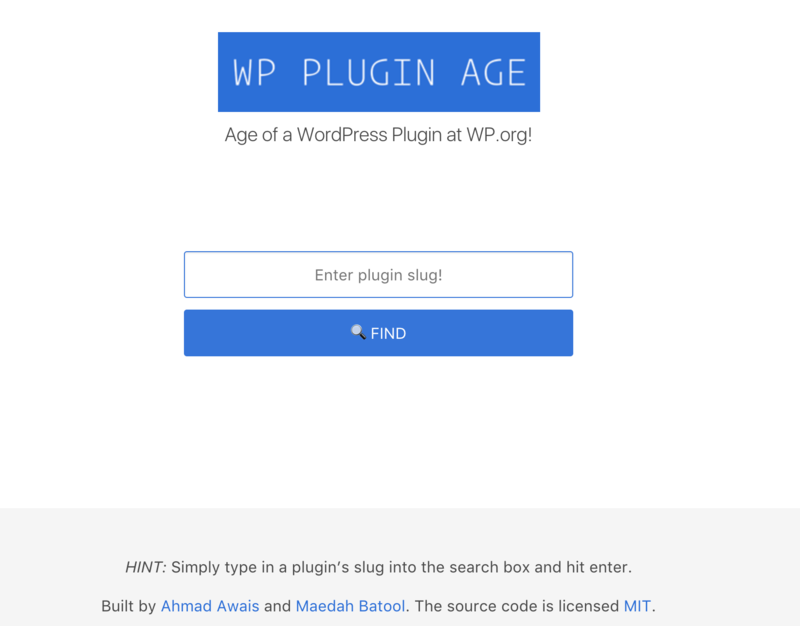 ✅ Another exciting project which I envisioned with Ahmad last year was the WP-Plugin-Age. This tool helps you find the age of a WordPress Plugin! It’s that simple. Just put in your WordPress plugin slug, and that’s about it.  There’s a brief story about how this idea got crafted. Those who know me can tell you that I write a lot. I’ve been reviewing plugins, themes and what not. Similarly, I was working on a plugin review where I was looking for the date when the plugin made it to the WordPress plugin repository. I searched here and there and even did the traditional internet browsing. I couldn’t find anything. 樂 So, I discussed this idea of building an automated tool with Ahmad. Since Ahmad loves automation and he has developed automation workflows for almost everything, we decided to build it. And guess what the first iteration of the product was ready in less than 2 hours. The idea got picked, and it got featured in WP Tavern. Thanks a ton Jeff, for acknowledging it. Last year, I started contributing to the Marketing team at Make WordPress. I am also a part of other teams as well (e.g., polyglots, documentation, etc. ), but some things are really extraordinary about the marketing channel. 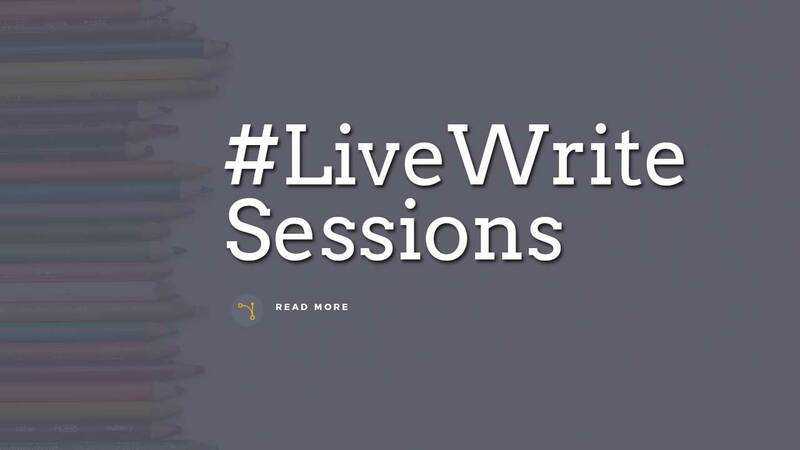  A different thing I brought to the marketing meetings was the first #LiveWrite session. I worked with 15 other people drafting a Google Doc simultaneously and writing about why developers should use WordPress. Being a part of this activity was so much fun, and everyone did a great job. The outcome was a better workflow for handling tasks as the initial draft document was just about ready in less than 45 minutes. 2017 was an exceptional year as my startup FinkTanks marked the 1000 figure for the number of students which I’ve trained. It’s such a humbling moment to witness how WordPress has helped me put food on the table for so many people. ‍ However, due to a hectic schedule, I had to reduce the number of interns this time. Instead, I hired five new developers and trained a new writing apprentice. So far this new training model is working quite well for me (may stick with it in future as well but no confirmed plans for it). ✅ Learn to Host Your WordPress Site With DigitalOcean! : This meetup was about Self-Hosting WordPress With DigitalOcean & EasyEngine which included several sub-topics like WordPress REST API, DevOps,  PWA (Progress Web Apps), and the  Google’s AMP project as well. ✅ The TheDevCouple’s #Hacktoberfest Open Source with WordPress Meetup: For the last few years, Ahmad inspires people to start contributing to open source through the Hacktoberfest event. That’s what happened last October as well. The event agenda also included an introduction to the basic commands of git, it’s working, and how it can be used to collaborate and improve the development workflow. With a vision to encourage people using WordPress in Pakistan, in 2016, Ahmad and I took an initiative to translate WordPress in Urdu – the national language of Pakistan.  During the WordPress Translation Day 2, we achieved a 100% Urdu translation for WordPress which was a huge achievement for everyone to rejoice. Sticking with this legacy, my team decided to translate WooCommerce in Urdu on WordPress Translation Day 3 and the good news is that we live translated 2,500+ strings for WooCommerce in 2017. It was an online event where more than 20 people collaborated to achieve this goal. 2017 was a great year when it comes to writing. I not only wrote articles for my blog (like ten articles) but also on popular WordPress blogs and magazines. I started contributing to blogs like Creative Market, SitePoint, Envato Tuts+, etc. However, the key highlights from my writing projects last year were the TheDevCouple and WPTakeaway — the WordPress Takeaway Newsletter. Two WordPressers fell in love and got married. They’re bold enough to call themselves The WordPress Couple. Yes! We are the WordPress Couple, and we like being called that. Some time back both Ahmad & I launched this blog with the plan to feature products and services that couple well with WordPress.  But soon after our marriage, we realized nothing else could define us better than this. So, we re-launched TheDevCouple with the purpose to share our exclusive perspective about a certain WordPress product or service. Readers only get to read what both Ahmad & I think about the WordPress community. And in 2017, we were able to build a small TheDevCouple Team behind this project with the help of our partners. For quite some time Ahmad & I were thinking about starting a free newsletter for WordPress, but the idea never took any shape. However, after the re-launch of TheDevCouple, the concept of this newsletter started making more sense.  So, here we are with a premium but free WordPress newsletter for EVERYONE! It’s called the WPTakeaway which features actionable advice for Beginners, Developers, Product-managers & Marketers. And let me tell you it has no fluff, no bull****. Just crisp and to-the-point content.  Till now we have over 23,000 active subscribers with ^40% open rate and ^10% CTR. But this effort was not possible without our great partners. Sshhh… Sshhh… Just heading to the fantastic news. Towards the end of this lengthy piece, I am going to share two exciting news which gave a great ending to 2017. First one is about the amazing partners who support both our open source work. It all started with the idea of TheDevCouple. I have been working with WordPress for the last nine years. I think it’s safe to say that we both share a collective experience of 21 years with WordPress. A few years back I remember we made a pact that we’ll be giving 10% of our time doing open source work. ➕ Surprisingly, with every passing year, the percentage of time we gave back grew to 20%, 30% and last year alone we were spending more than 80% of our time with open source projects. Almost full-time open sourcerers.  But after getting married, we realized that this open source lifestyle might create difficulty in putting food on the table. In short, it’s tough to build, maintain, teach, and support open source software. That’s where few awesome companies stepped in. They help keep our software free. It’s also how everyone in the TheDevCouple team contributes to the WordPress core. It’s how these companies are contributing and giving back to the WordPress Community.  Everything we open source for the web community is because of the incredible folks listed below. Through this partnership, TheDevCouple’s partners get exposure throughout our portfolio of more than 3 Million developers (site visitor traffic), and on every open source project that they get sponsored. Sooner than later we will launch free courses supported by the community. Awais talked about this in his 2017 year in review. Looking For The Next Big Opportunity! Another news which made an exciting and humbling end to 2017 was to be at the receiving end of multiple job offers from incredible companies like Google, DigitalOcean, and two local companies which is expanding internationally. ⏰ This has been the biggest reason behind the delay on publishing this post since I wanted to publish it after joining a company but… in short, just like my better half I am currently interviewing and have not settled for a single company yet. 力 So, both Ahmad & I took Dec/Jan/Feb off, to interview at a few companies, including the ones I shared above. Both our interviews at Google went quite well, our recruiter came back with good-news-feedback from our interviewers and moved us to the HC stage. Then we had lots of issues related to all the relocation to the HQ and US immigration, etc. and at the time of writing this is where we are. I’ll update this when we both make a decision. ⛑ There are companies and job offers that would relocate us to a new country, which is a huge undertaking, and there are companies equally as good that are interested in hiring us as remote employees. This is one of the most overwhelming (in a good way) and confusing (decision paralysis) time of my life. #TrueStory. The amazing year of 2017 ended with a tremendous growth not only for Ahmad & myself but also for the WordPress industry. My goals for the next year are continuously doing all the amazing stuff with my significant half Ahmad Awais. Quite recently, we are working on some really exciting open source projects related to the new Gutenberg editor and webpack, called create-guten-block. Recently, we have partnered up with an awesome dev/designer Rich Tabor, who runs ThemeBeans to create a blogging theme Writy.io and we’re super excited. Also, WPGulp 2.0 is most likely to be out in the upcoming months. The team is all geared towards it. Along with that, we are working on a few courses as well. Don’t forget to tweet and share this review, would mean a world to me. Say  at Twitter @MaedahBatool.